A $1 billion bond on the ballot this fall in Austin will go toward a starter rail line and state road improvements. This fall, Austinites will vote on a $1 billion bond package for a light rail line and state road improvements. Austin's bond proposal is a long one, clocking in at 220 words, and it's an expensive one. How does the price tag of this bond stack up to previous bond elections? It's the biggest ever. While only $600 million of the bond election is technically voter-approved for a starter light rail line, the other $400 million in improvements for state-managed roads is still debt that will be taken on by the city. So what does that billion dollars pay for? $600 million will go the capital costs (studies, engineering, and construction) for one 9.5-mile light rail line, with a total estimated capital cost of $1.38 billion. That line would go along East Riverside, through downtown and the UT campus on San Jacinto, then go over or under (and parallel) a portion of the existing MetroRail line up to Highland Mall. The project would be contingent on getting federal matching funds for the city's $600 million investment. $400 million would go to road improvements for state roads. A billion dollars sounds like a lot of money. How much debt does Austin have currently? According to the most recent figures from last year, the City of Austin has $1.25 billion in debt. Adding another billion in the form of the bond before voters nearly doubles that debt. Austin has more debt per capita than any of the other largest cities in Texas, three times the debt per capita of Houston. What will this do to my property taxes? They will go up. According to City of Austin Deputy Chief Financial Officer Greg Canally, a home worth $200,000 now (the median value currently) would see an additional $220 a year in property taxes if Austin's starter rail line and road improvements bond passes. That increase scales: So if your home is currently worth $400,000, it would mean $440 a year in additional property taxes. The bonds for the debt would be sold over several years, but by 2020, Canally expects the full tax increase would be in place. That additional city debt (and its impact on your property taxes) will stick around for 20 years, until the debt is paid off. Why does a light rail line mean having to raise my property taxes? Can't Austin just borrow the money on its own? In order to maintain its current debt rating (which determines interest rates on money it borrows), Austin can't go out and borrow this much money without having it guaranteed, in a sense, by property tax increases. Think of it like getting your parents to co-sign a loan: if the City can show lenders it can pay off the loans through increased property tax revenue, it can take on more debt. In considering the rail and roads proposal, the city looked at the additional debt required and determined it won’t affect the city's bond rating negatively. But the city, by its own admission, didn’t look at the impact of that additional debt on affordability for Austin residents. What part of my property taxes will the bond affect if it passes? There are several parts to your property taxes -- for schools, emergency services, county property taxes, etc. This property tax increase is the part of your City of Austin property taxes that pays for the city's debt service. You can think of that like a mortgage, since it's a loan the city is paying back with interest. Currently, the city's debt service is about 12 cents for each dollar of value of your home in your property taxes. If Prop 1 passes and the first light rail line and road improvements go forward, that 12 cents would increase by 6.5 cents to 18.5 cents. At that point, more than a third of your City of Austin property taxes would be going towards city debt. So the part of my property taxes that goes towards Austin's debt would increase 50 percent? Yes, it would. It's like the city is raising its mortgage payment by 50 percent. But is this rail line a good deal? Is it worth the cost? That depends on who you ask. Proponents of the initial line say "we have to start somewhere," while opponents say it's "worse than doing nothing." One important consideration is that the debt only goes toward the capital costs of the first light rail line and some road improvements. Any expansion of that first light rail line with a second, third, or fourth light rail line would likely need to be funded with additional debt, meaning more property tax increases. According to a rough analysis by the Austin American-Statesman, that could mean billions of dollars more in capital costs for the full system envisioned by Project Connect. By that point, an average value home in Austin could have over $1,000 in additional property taxes annually. "I think as the overall system gets built out, we would certainly look at replicating that [Proposition 1] model," Canally with the City of Austin says. "If it includes looking at additional bond issuances, that's something we would do, and obviously come back to the voters again for additional authority to issue bonds and increase tax rates to pay for those bonds." The light rail line also has ongoing costs to run, the operations and maintenance, that is projected to be $22.1 million annually. By comparison, Austin's commuter Red Line has operating costs of about $13 million. Due to high operational costs, each ride on the red line has to be subsidized by over $20. One criticism of the current light rail line proposal is that it will suffer from low ridership and high operational costs, potentially resulting in similarly high rider subsidies and taking away from existing bus service. Operations and maintenance costs for the proposed first light rail line are expected to come from Capital Metro's budget. So how do the capital costs of this project compare to other rail projects in the U.S.? For a starter line, this looks to be most expensive on a cost-per-passenger basis. There are a few other lines out there that are more expensive, but those are expansions to existing systems. There are several points that make the cost of the first light rail line high: a bridge over Lady Bird Lake, and a bridge (or tunnel) over the existing MetroRail commuter Red Line. "I call it a gold-plated project," says Lyndon Henry, a transit planner who is against the proposed light rail line. "It has a $230 million tunnel, a $130 million bridge across the river, it has a lot of little hidden, extra stuff in there. 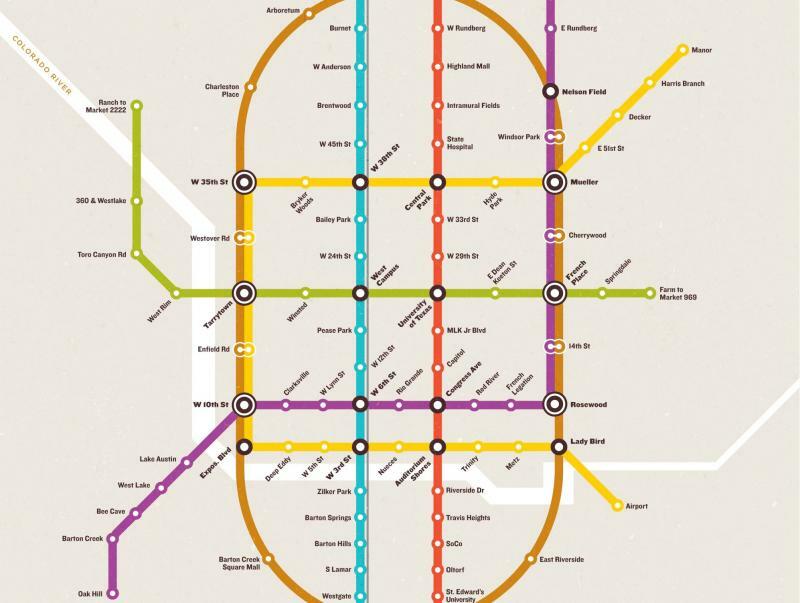 Per mile, it's the third-most expensive new light rail starter line in American history." "I think we do have to look at the cost, we have to think about it," says Greg Hartman with Seton Healthcare and Treasurer for Let's Go Austin, a pro-Prop 1 PAC. "But we also have to make smart investments. And I don't think it's about the number of pennies we're talking about, it's, 'Are we going to get a value for our investment?'" There are several institutions that stand to benefit from a light rail line on the proposed route -- UT, Seton Medical School, ACC, downtown developers -- are they putting any money towards it? Not directly. 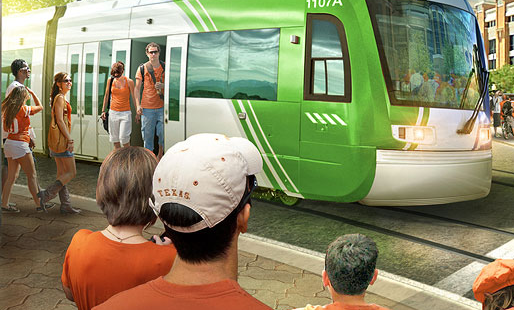 While the University of Texas has pledged right of way along San Jacinto for the line, no outside group or institution has pledged to help cover either capital or operational costs for the proposed light rail line. In some instances in other cities, like Portland, something called "value capture" has been used to direct future tax gains to fund infrastructure in specific geographic areas known as Tax Increment Financing (TIF) districts. 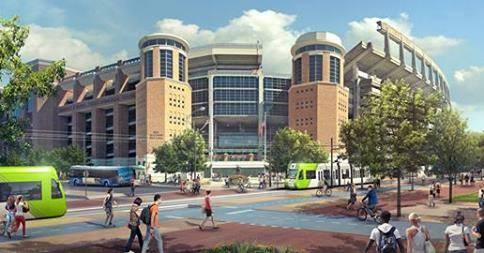 Such an option has not been explored for the proposed starter light rail line in Austin. You said the $400 million in road improvements is for state roads? So why would I be paying for that and not TxDOT? So, $600 million for a starter light rail line and $400 million for state roads. 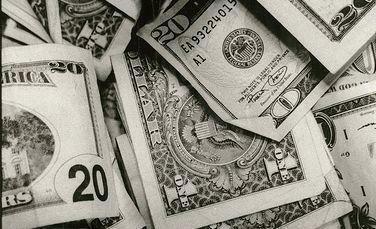 If Prop 1 passes, does that mean that the billion dollars definitely gets spent? There's two important caveats: one is that the $600 million for the first light rail line cannot be spent unless the Federal Transit Administration (FTA) comes forward with matching money. Austin would be one of dozens of projects in line seeking matching funds, and wouldn't be expected to apply for the funds for a few years. The other caveat is that the $600 million for rail is tied to the $400 million for state road improvements. Unless the next city council issues that $400 million in debt for the road projects, the $600 million can't be spent on rail, according to the ballot language. If the incoming city council doesn't like that idea, or purposefully slows down the process for taking on that $400 million in debt, it could stall the proposed first light rail line. Many of the candidates for city council (61 of 70 for district seats) have said they are against the rail and roads bond proposition on the ballot this fall. "Construction on the urban rail cannot actually begin until those two conditions [matching federal funds and road funding] are met," Canally with the City of Austin says. "Except for, the next several years, there will be funds available from that $600 million, if approved, to go through that engineering and preliminary design work and initiate the process with the FTA. At that point, we wouldn't move forward on allocating any funds for construction or contracts until we knew we had federal match money in place." Just one more question. When does early voting start? I'm glad you asked, since that's an easy one to answer: Early voting begins Monday, October 20. You can find your polling place here. Capital Metro voted Monday to move forward with recommendations from Project Connect. The next steps are deciding who will govern its potential urban rail operations and where some of the funding will come from. The City of Austin and Capital Metro are both major players. But while Project Connect moved a step forward, there was a push from the Cap Metro board to take a step back. After dozens of public meetings and no shortage of criticism, Project Connect arrived at a proposed route for its urban rail that would go from Riverside to Highland Mall. On Monday, Capital Metro Board Chair Mike Martinez asked for analysis on a whole new route, from Austin-Bergstrom International to UT.